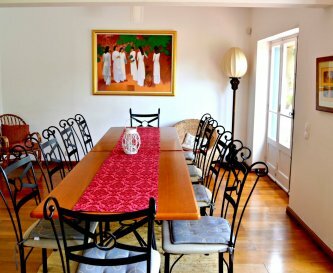 Morada Sol, Cascais, Estoril, Portugal, sleeps 10-26 in 12 bedrooms. Sleeps 2 to 30 in 2 units, with dining together for 30. Extra beds available, max occupancy 30. Morada Sol is located in between the ocean and the mountains. It is perfect for every taste and suitable for large groups of families, friends, hen parties, team building activities and any kind of reunions. The main entrance to Villa Cascais is via a spacious entrance hall, leading to the main living room with a large fireplace providing the focal point. This room is very bright with 2 big windows facing the garden, and a TV and DVD player are provided for the entertainment of guests. The dining area has French doors opening out to the terrace and gardens and, upon request, we can provide seating for +25, so larger groups taking both villas can enjoy a meal together. A spacious fully equipped kitchen, with a large table for 8 or more, is also ideal for less formal meals. 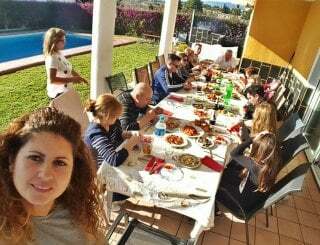 Just outside the kitchen, in a covered area, a large table made of one single slab of marble seats up to 18 people and is ideal for large reunions. The lovely built-in barbecue is just next to this seating area and more tables can be added. 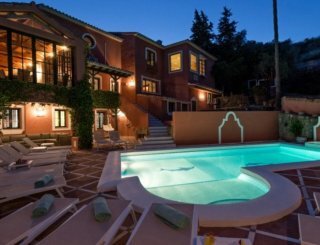 Across the estate, Villa Sintra boasts 5 further bedrooms. 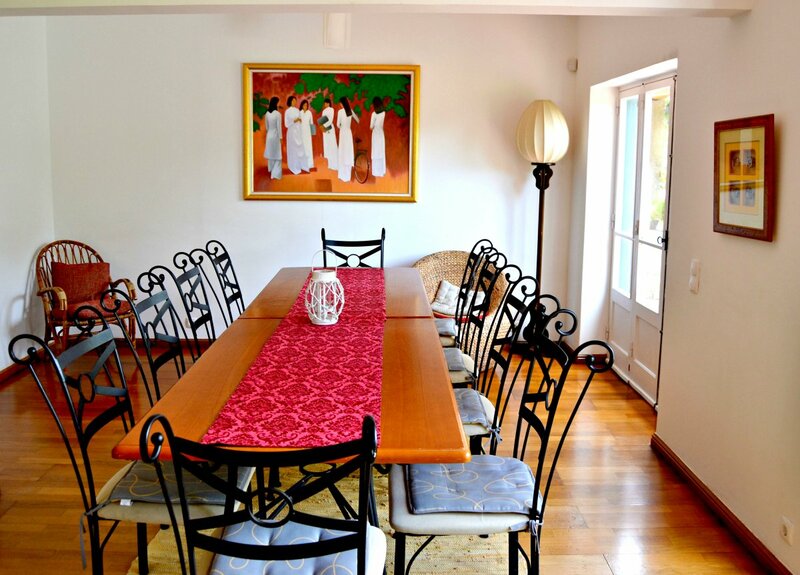 With large dining terraces and beautiful sea views, Villa Sintra can accommodate up to 12 people. There is a large living room, a dining room and two fully equipped kitchenettes. 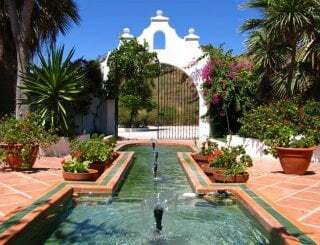 On the estate is a covered pool, with plenty of loungers - relax and enjoy the beautiful climate. 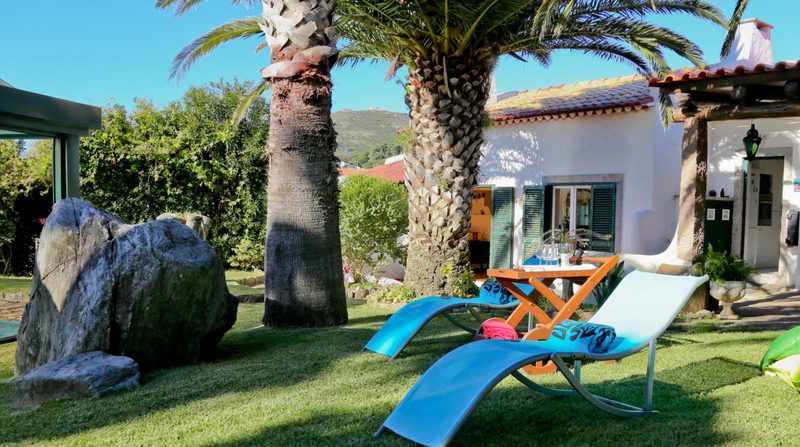 Morada do Sol is located close to Lisbon and the amazing beaches of Cascais and Estoril Coast. 10 minutes away by car is Guincho beach, the setting for annual windsurfing and surfing championship events. One of the largest casinos of Europe is located in nearby Estoril coast town, with its gaming rooms, bars, restaurants and evening shows. Sintra, which is only 15 minutes away by car, is unique and deserves its status as UNESCO World Heritage Site, for its cultural landscape. 2 fully equipped kitchens, equipped with cooking stove, microwave, fridge freezer, coffee maker, toaster and kettle. 2 kitchenettes. Formal dining room able to seat 25+. Outside dining areas. There are 4 living areas in total at Morada Sol. All 4 are equipped with air-conditioning and TV. There are 4 televisions in Morada Sol. There is free WiFi available. There is 1 fire place, 2 wall heaters and 4 air conditioners in the property. Small heaters are provided for each bedroom in the winter. 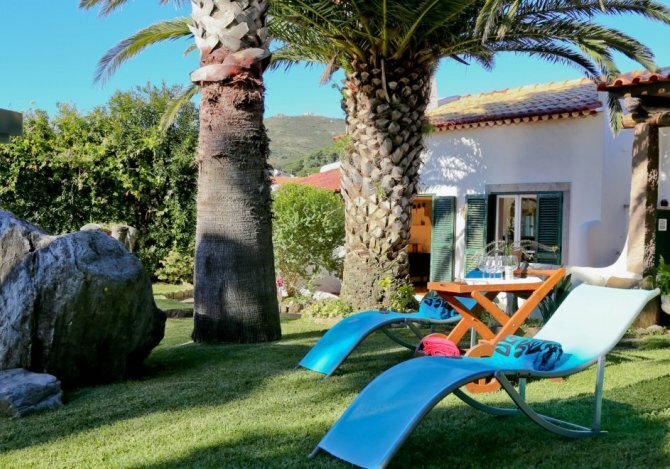 There are 7 bedrooms in Villa Cascais and 5 in Villa Sintra. There are travel baby cots available on request. Linen and towels provided. Beach towels available at €5/towel per stay. 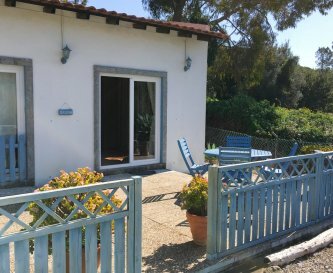 8 bathrooms: Villa Cascais: 2 bathrooms with shower, 2 with bath and one half bathroom. Villa Sintra: 1 bathroom with bath, 2 with shower. There are no disabled facilities. There are some puzzles and books. The 5000m2 private estate offers an ideal setting for a perfect holiday amongst the beauty and tranquility of nature. The covered pool means the water is warm enough for you to swim from April to November. Parking for more than 6 cars available inside the property. No smoking is allowed inside the houses. There are a few ashtrays in the gardens. 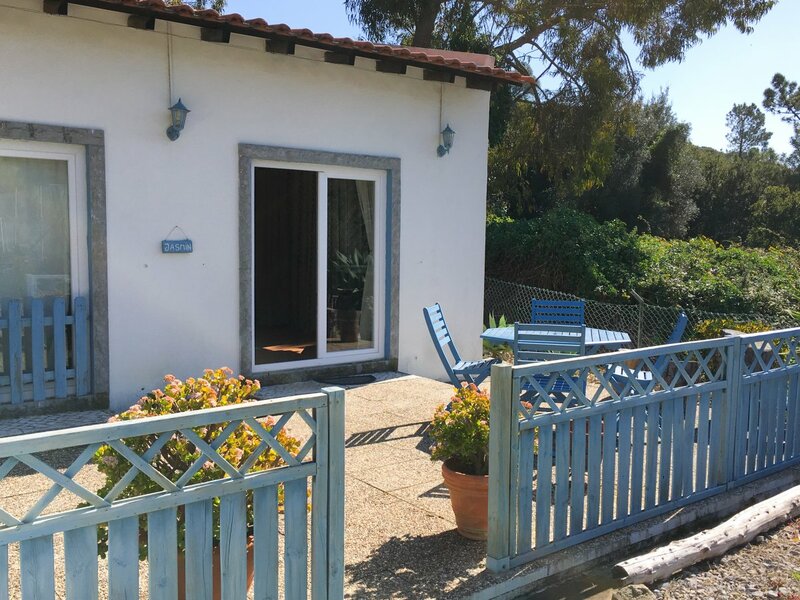 The estate is situated in the Natural Park of Sintra Cascais, close to Cascais and Sintra yet only 30 minutes away from the centre of Lisbon. This is an ideal location for city and nature lovers. 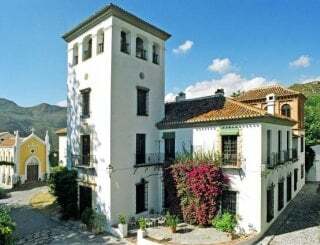 Janes, 5 minutes walk from Morada Sol. Spar, 5 minutes walk from Morada Sol. There is an amazing restaurant 5 minutes walk from Morad Sol. There is also a bakery and a pizzeria in the centre of Janes. Prices for up to 20 people. Add €100/week/extra guest. Max 30 people. In peak season turnover day is Saturday and surcharge may apply for rentals of less than 2 weeks. Security deposit €1000. 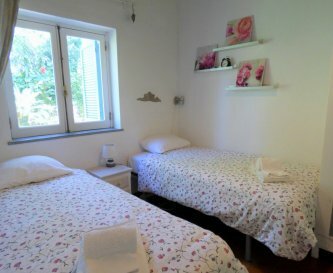 A cleaning fee of €10 per person is applied. Cascais has a Tourist Tax of €1/person/day max. €7. Cascais Train Station is located 9 km from Morada Sol, it can be reached by car in about 18 mins, or by bus. There are 3 buses that pass near Morada Sol, going to Cascais or Sintra. Lisbon airport is located around 40 km from the property. It will take 30 to 40 minutes by car to Morada Sol.